Providing you the best range of high pressure fly ash bricks making machine, single phase fly ash brick making machine, three phase fly ash bricks making machine, automatic fly ash bricks making machine, fully automatic fly ash brick making machine and fly ash brick making machine with effective & timely delivery. Efficient name in the industry involved in offering the optimum quality of High Pressure Fly Ash Bricks Making Machine. 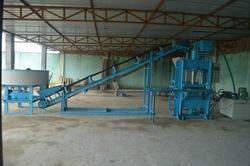 Fly Ash Bricks Making Machines is used to produce Best Quality Fly Ash Bricks with High Pressure. We are a unique name in this industry to provide our prestigious clients an exclusive range of Single Phase Fly Ash Brick Making Machine. Enriched with years of experience in the industry, we are engaged in offering Three Phase Fly Ash Bricks Making Machine. We are successfully meeting the requirements of our clients by offering the best quality range of Automatic Fly Ash Bricks Making Machine. Trang Bricks are the leading manufacturer of Automatic Fly Ash Bricks Making Machine, our machine has features like Automatic Raw material weighing, Auto mixing, Batching plant, Silo’s, Discharge of finished bricks through Conveyer for fast production. Raw materials used for the production of fly ash bricks is fly ash, sand, lime and gypsum or cement. Bricks are produced by compressing the raw materials in the mould and hydraulically pressed. Hydraulic unit is the heart of this machine and that unit consisting of a Hydraulic cylinder, the power pack is manufactured in house. The whole system is plc controlled. 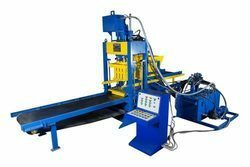 Our machine requires less manpower effort and is also cost effective and has provision of pick and place with auto stacking system. 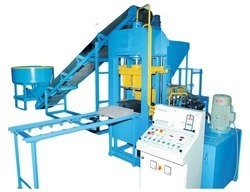 Fly ash bricks produced from this machine are uniform in shape and size with high compressive strength. The excellent engineering property and durability of fly ash brick enlarge its scope for application in building construction and development of infrastructure, construction of pavements, dams, tanks, underwater works, canal lining and irrigation work etc. We are among the reputed organizations, highly engaged in providing an optimum quality range of Fully Automatic Fly Ash Brick Making Machine. Backed by rich industry experiences, we are highly engaged in offering a premium quality range of Fly Ash Brick Making Machine.